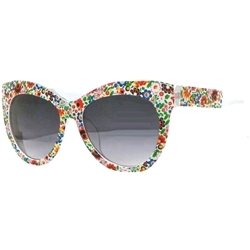 The Colorful Cat Frame Glasses are a vibrant eyewear choice – the floral print absolutely saturates the glasses with color. The glasses are great for classic Halloween costumes such as Go Go Girls and Hippies. These glasses are also a fine fashion statement for everyday use!